For months now, i've been lemming for MAC's fluidline. But its cost stops me from getting one, and believe me, i won't even stop on getting only one. 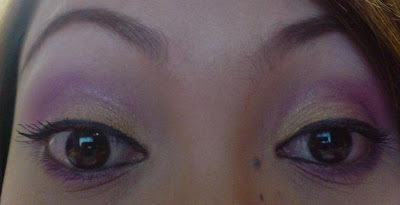 besides, i have a lot of mineral e/s that i can convert to an eyeliner. 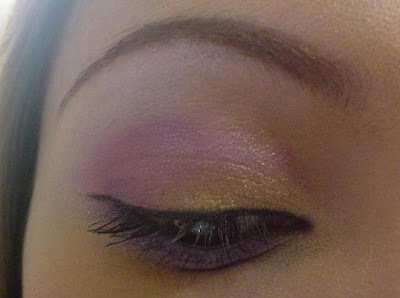 So when my sis and I dropped by Elianto weeks ago, i was so happy to see that they already have a gel liner. The Face Shop has too but their testers are dried up already that i can't seem to convince myself to get one despite its much lower price than that of MAC's. 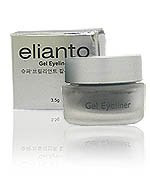 Gellified texture for prominent, lasting and smooth finishing, water resistant eyeline. 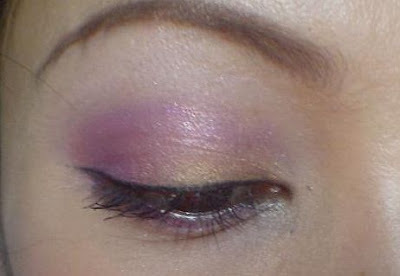 Paint above the eye lid with liner brush and blend evenly. 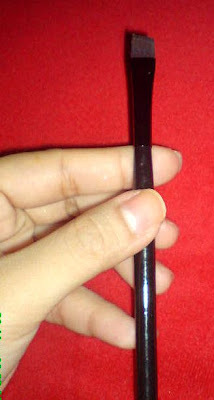 i got this brush at landmark...i guess price ranging from Php30-40. It's more stiff and just right enough to scrape some product from the pot. and this is my MAC 266. i want to hit my head real hard for getting this and not being able to use it with my gel liner...does this mean i would need to get their fluidlines too so i can put this into good use? it stayed put and didn't smudge. 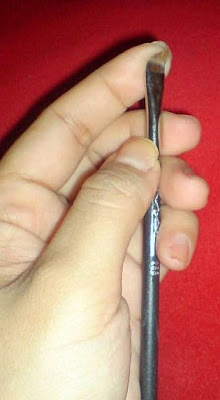 all you need is an angled eyeliner brush that would be stiff enough to scrape the product from the jar and some eyelining skills and you're good to go. 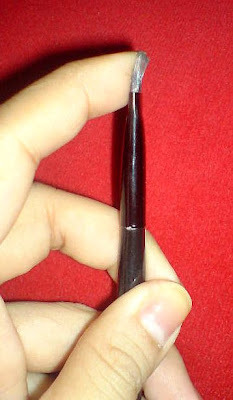 i haven't used this on my waterlines though since i'm scared that the brush will poke my eyes. will i buy again? yes, i'll get the other shade which is brown. for it's price, it does the job well. but i still have my eyes on MAC's fluidlines! 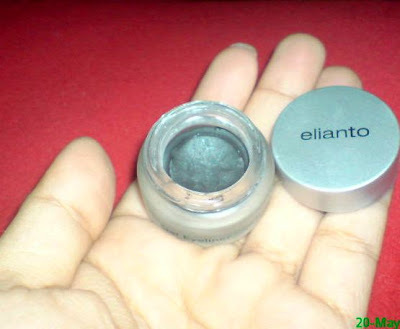 so there..i hope my review can help you decide whether to get this new product from Elianto. If there's anybody who have tried this too, please let us know what you think about it too! Hi jheng! I've been a lurker of your blog for a few months now. 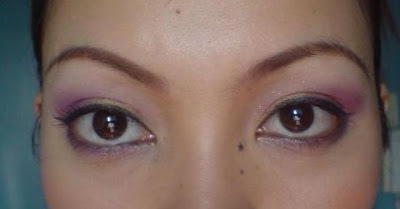 Anyway, I love my elianto gel liner too! For me I think it's way better than fluidline, mas mahirap kase tanggalin yung sa elianto compared to my fluidline. 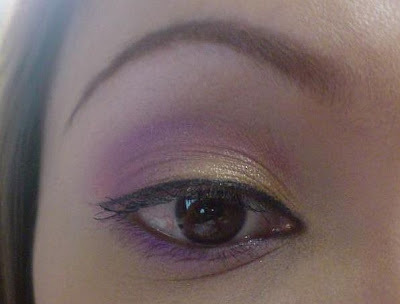 good to know you have tried gel liners na, addicting indeed right? :D i am biased 'cause i love f/l hehe. buti ka pa your 266 is soft! my SE isn't. :( i will try na lang when getting FS hehe. saan bah makakabili nang mac brushes? im like looking for it in malls in our place but i cant find one..